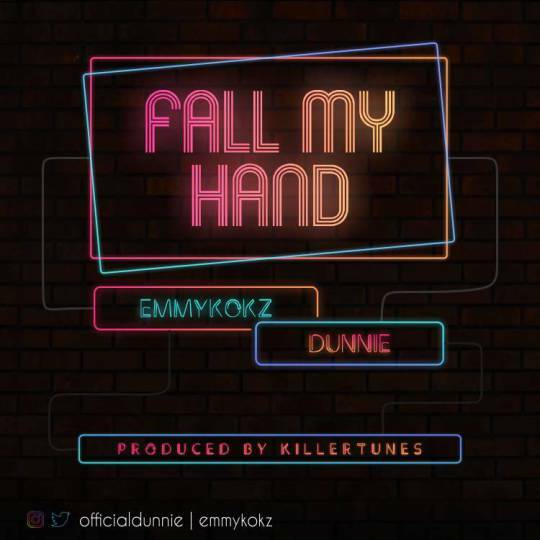 Emmykokz and Dunnie team up to drop a hot Street Hop sound - 'Fall My Hand' that talks about the love of God that never fails. The duo expresses in strong pidgin rendition how God never fails nor disappoints. Are you burdened? Are you confused? Are you in need? Then Fall My Hand is just the right song to listen to, to remind you that God never fails.